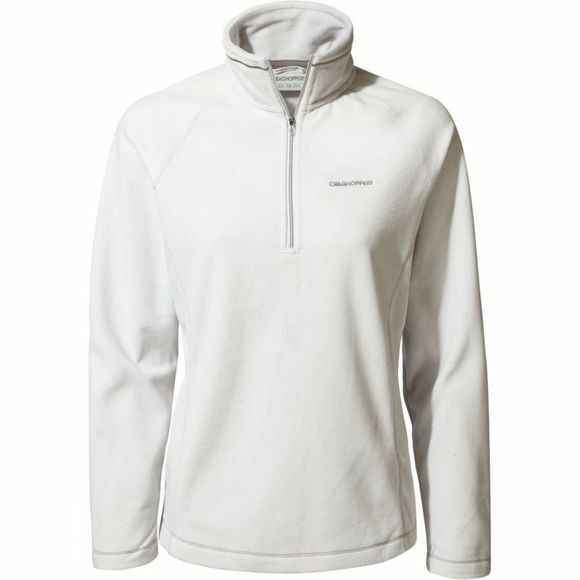 The Womens Miska Half Zip Fleece from Craghoppers is a versatile half-zip top may be the only microfleece you’ll ever need. The gorgeously velvety pile is wonderfully insulating and effortlessly easy care. Take your pick from this season’s vibrant new colours. We understand that travel is more than the destination; it’s also the journey. That’s why our story starts with the journey of a lifetime. In 1965 we took our fledgling brand to the top of the world - Mount Everest. That sense of discovery never left us and we’ve been busy ever since, exploring new places, meeting new people, and road testing our kit to make sure it’s the perfect companion. There’s much more to our outdoor clothing than first meets the eye. We produce and continuously improve innovative fabric technologies to develop the performance of our outdoor wear and travel clothing, so that you have the very best protection, wherever you're travelling, and whatever climate you encounter.